well, here we are, almost to NOVEMBER and halfway to 9 months. 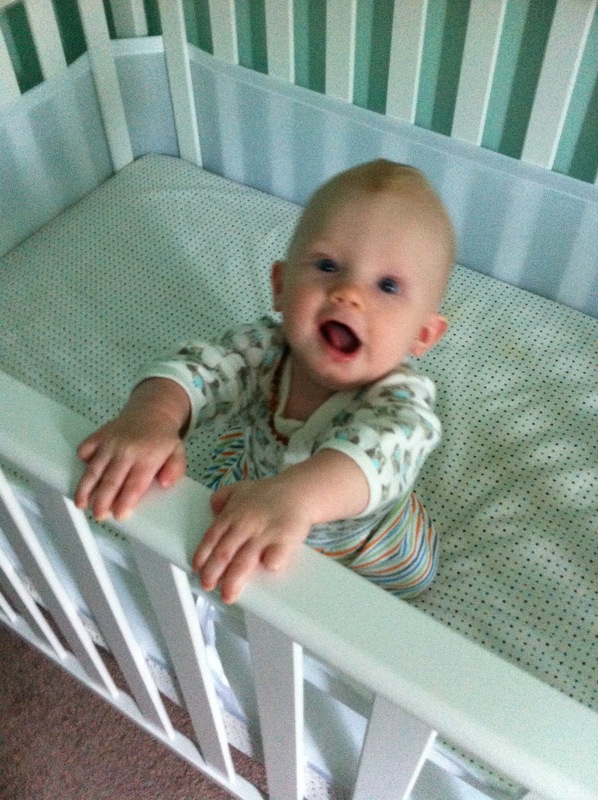 the boy is growing and changing daily – its so hard to remember back to all that has happened! i’ll try to stick to the highlights. this horse. 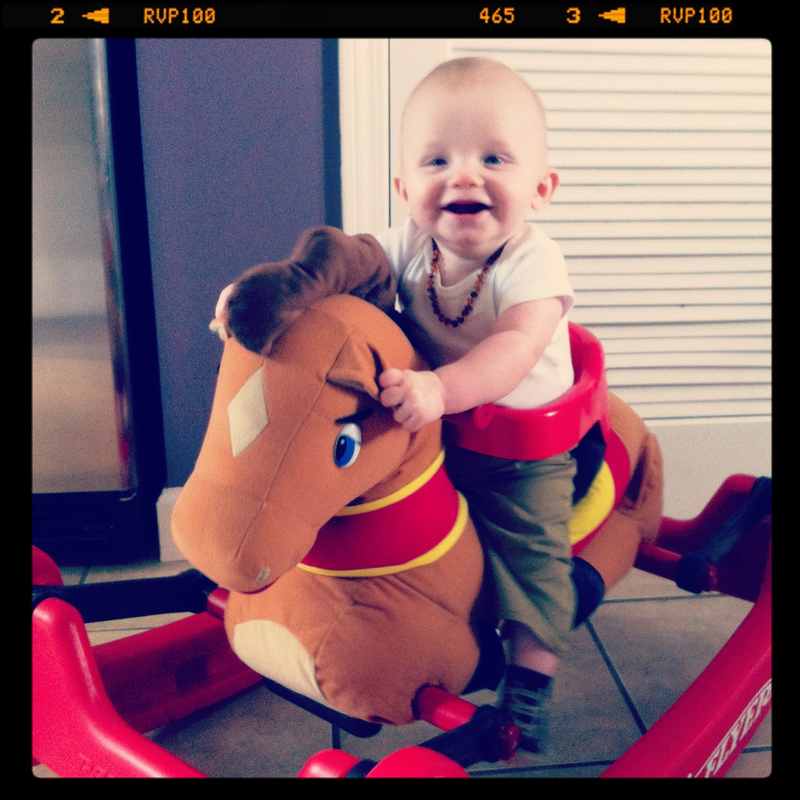 he love this horse. it was an awesome used find and nigel is now a happy member of our family. 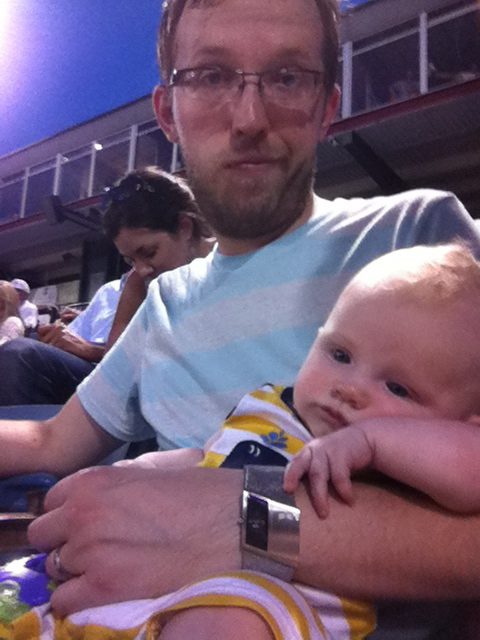 he went to his first minor league baseball game – and was obviously so impressed, he fell asleep! 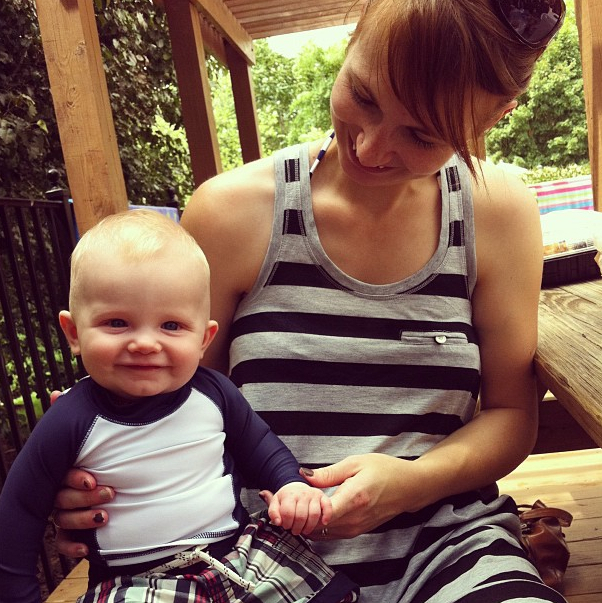 first pool swim, and another trip to the zoo to celebrate my birthday. summer olympics! 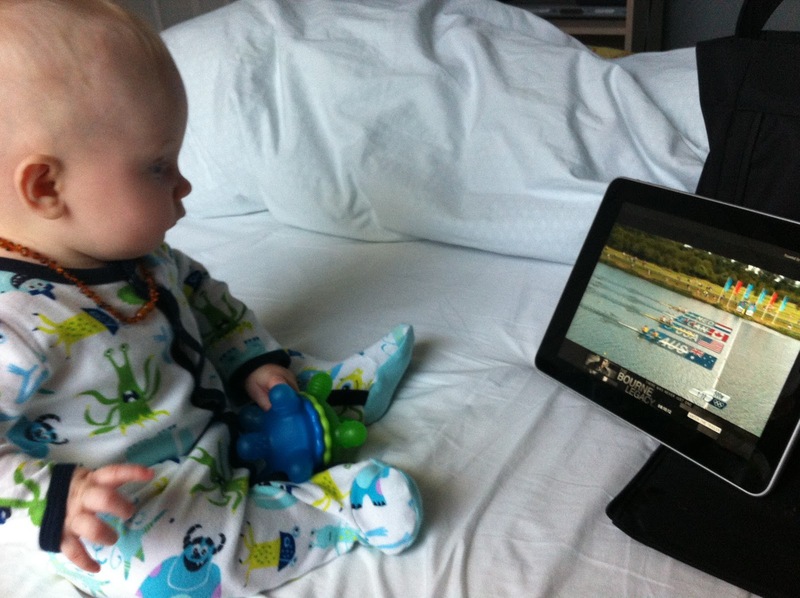 aside from the almost daily contests daniel and i had to see who was the most fit, this was the first time we really let him sit in front of the TV – even the ipad for rowing events. 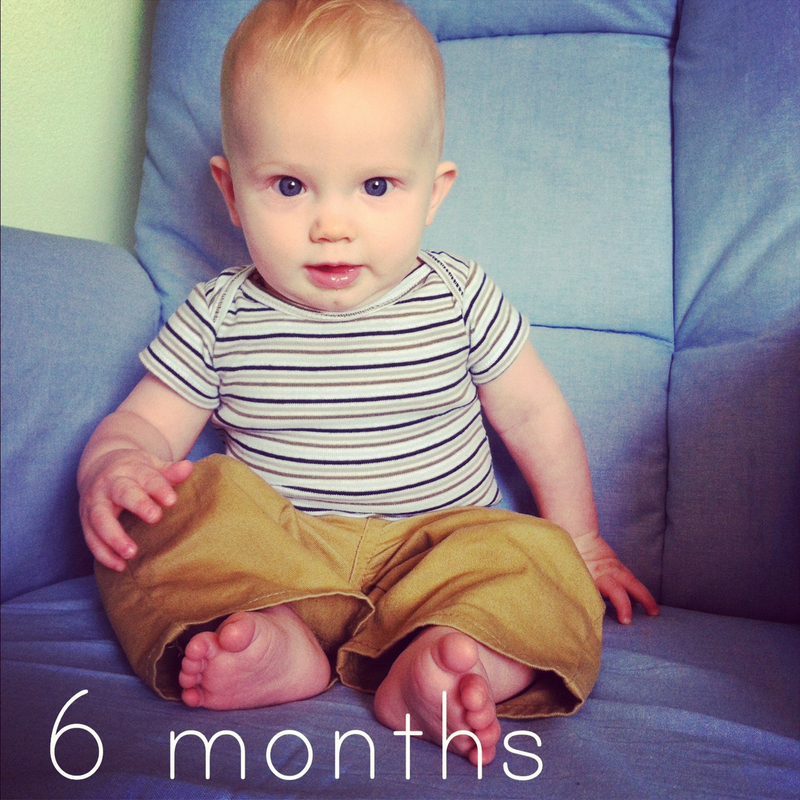 ah – the big 6 months. 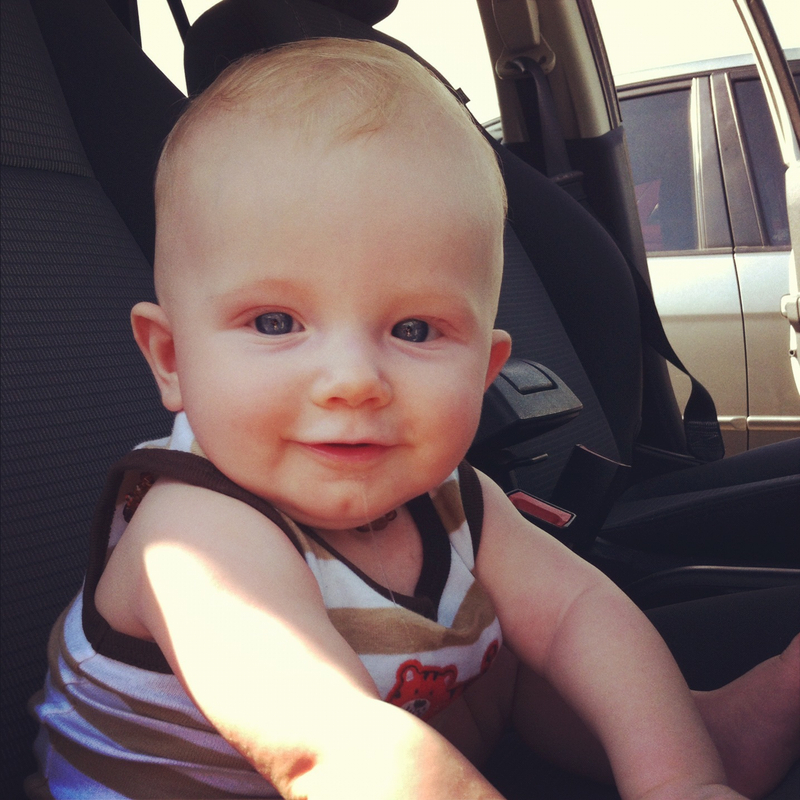 at his 6 month appointment, he was 15lbs 3oz and 25inches long. 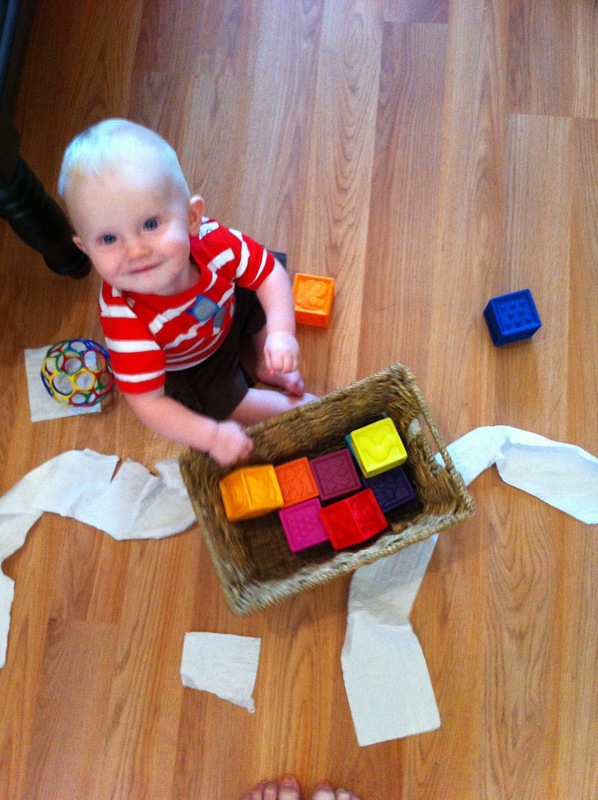 eating just about everything, sitting himself up and staying there on his own. 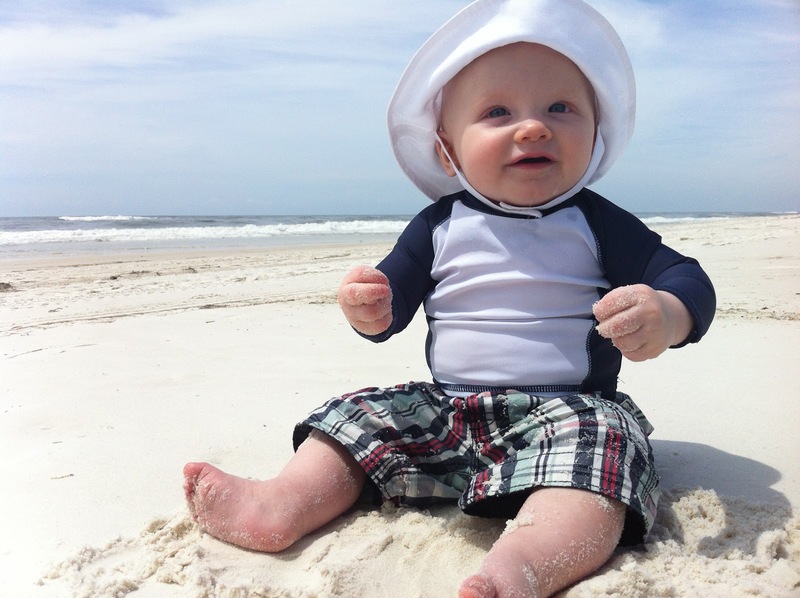 still wearing 3 month clothing and barely graduated to size 3 diapers. 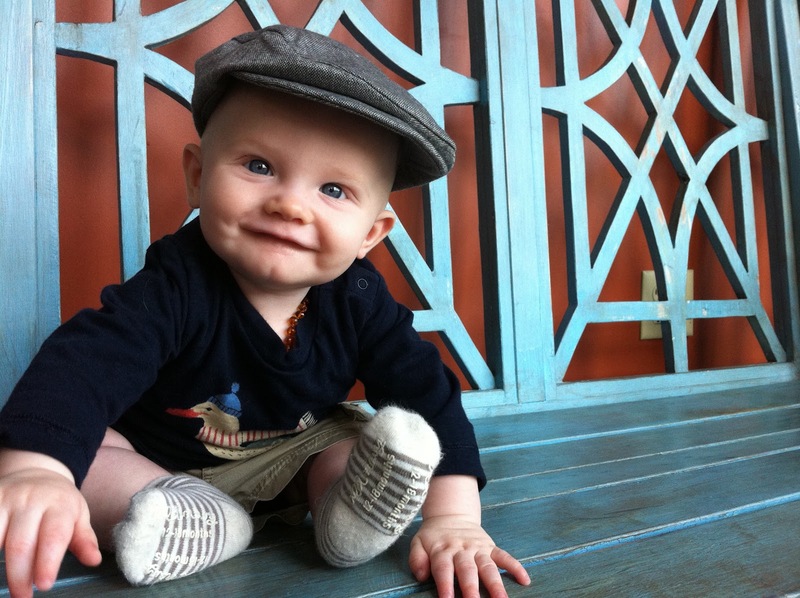 his bottom two teeth showed up just after his half-birthday, and right before our first family vacation! 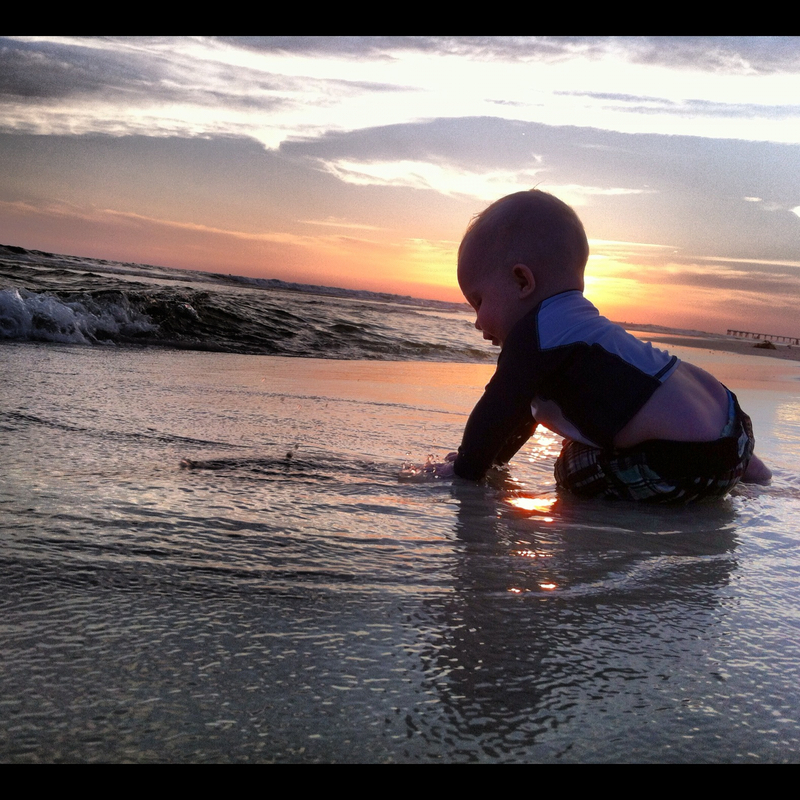 in late august we packed up and drove to Panama City Beach, FL and had an amazing 4 days on the beach. 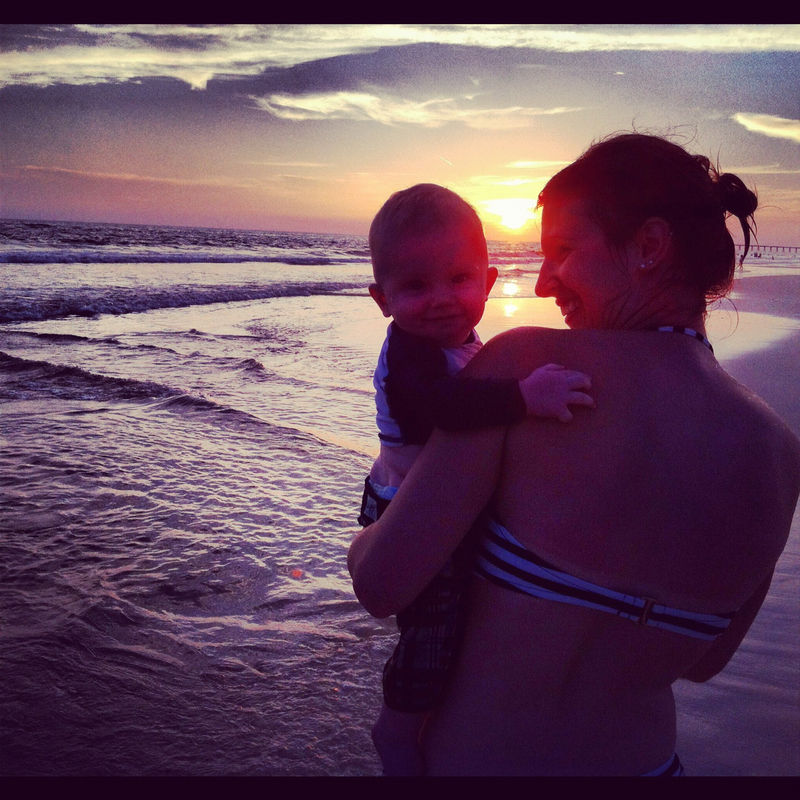 oliver loved every minute of it, playing in the sand, laughing at the waves…it was great. we caught the tail end of hurricane isaac which closed the water for the first few days so we weren’t able to actually get in until our last day there, but man was it awesome. 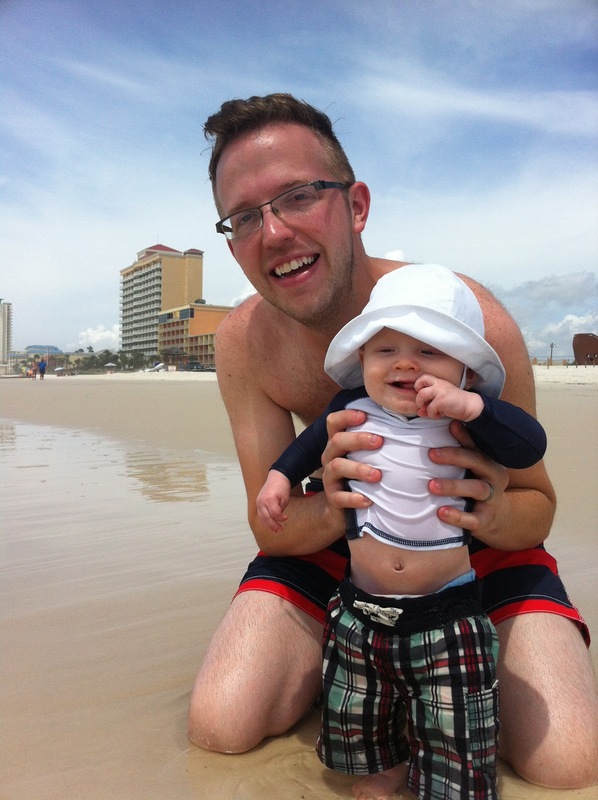 just after we got back from vacation, daniel left on his first of 2 tours this fall – getting used to him being gone again is quite the undertaking…especially with a little boy who loves his daddy. the first tour was nice; he was gone for about a week the first time, then was home for at least 2 nights during the week for a span of 6 weeks. 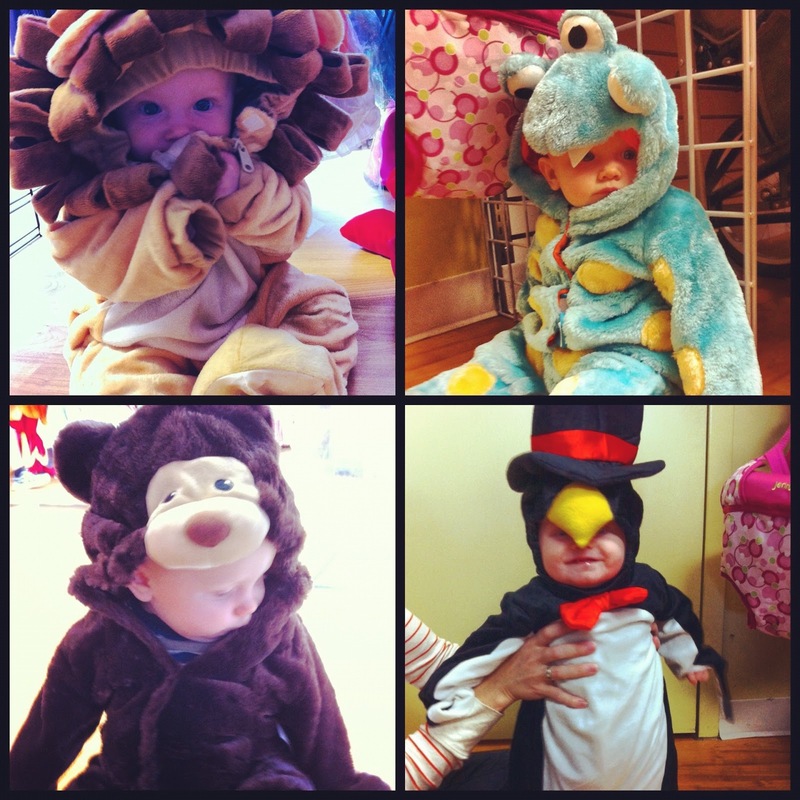 in that time, ollie starting pulling himself up on just about everything, discovered how much fun a roll of toilet paper can be and we did a little halloween costume shopping. 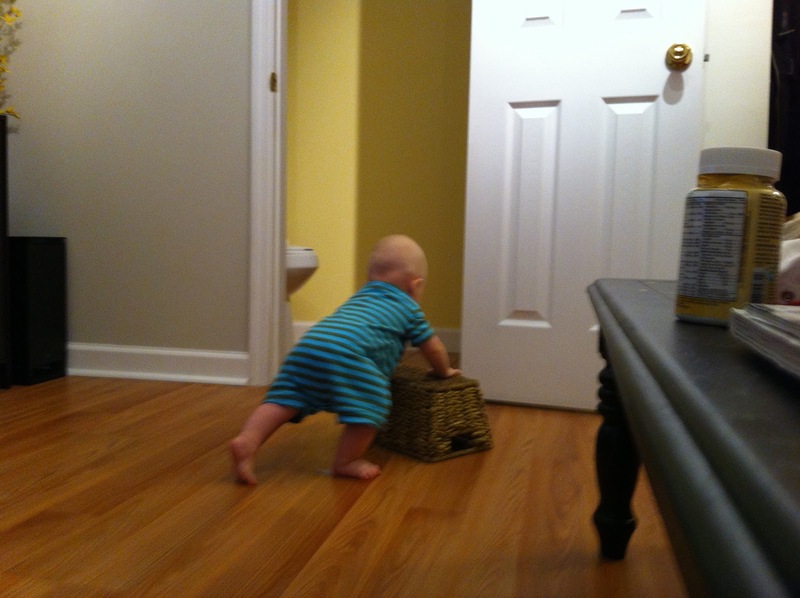 i even caught him using a basket form the spare bathroom as a walker and cruising around the livingroom. 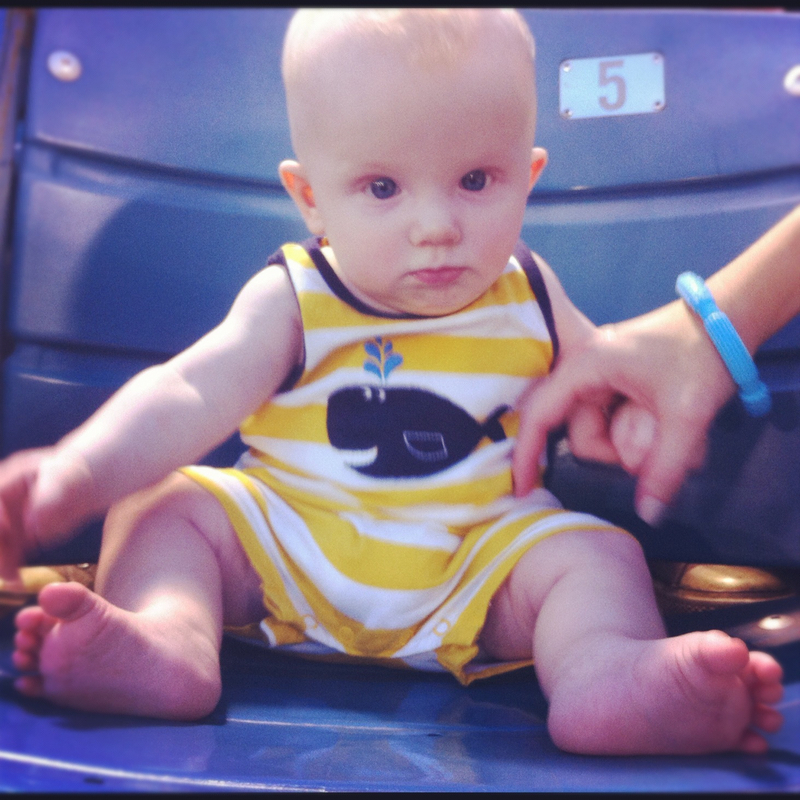 this kid is going to be walking before i know (and am ready for) it.